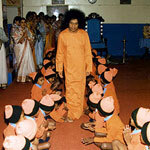 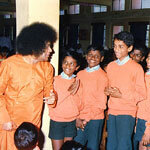 … Childlike Sai, So Captivating! 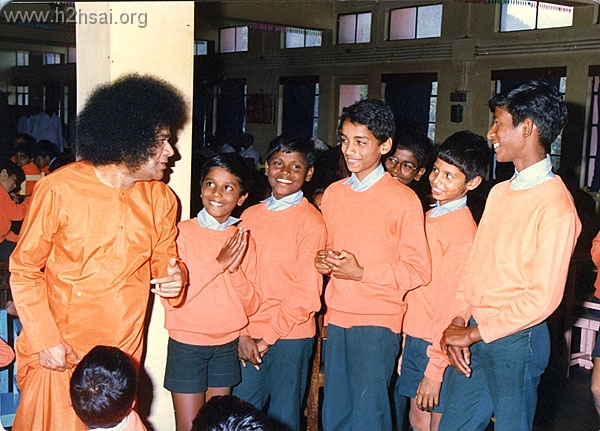 Those who studied in Bhagavan's school in Ooty (Sri Sathya Sai Vidya Vihar, Nandanvanam, Ootacamund) have had the rare privilege of experiencing William Wordsworth’s famous words, "Blessed it was in that dawn to be alive and to be young was very heaven." 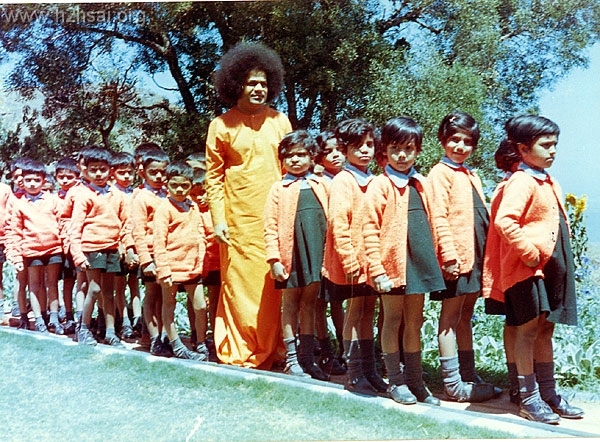 Imagine, the Lord Himself taking precious time out and traveling to Ooty only to spend time with the tiny tots of His school! 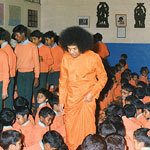 These little blossoms of His garden would eagerly await His arrival and then shine gleefully once He is in their midst. 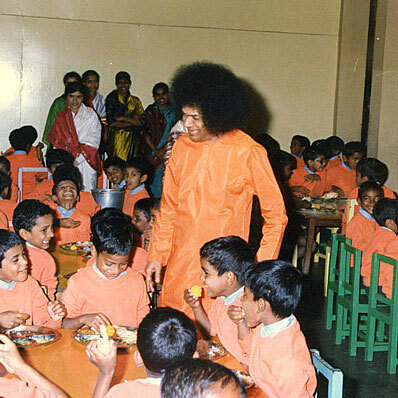 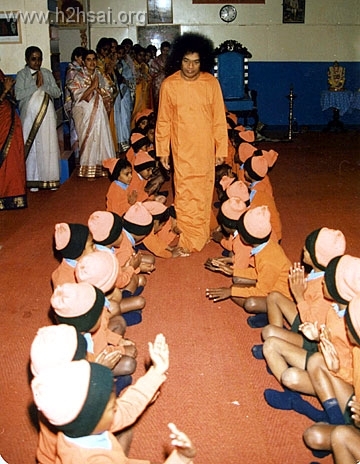 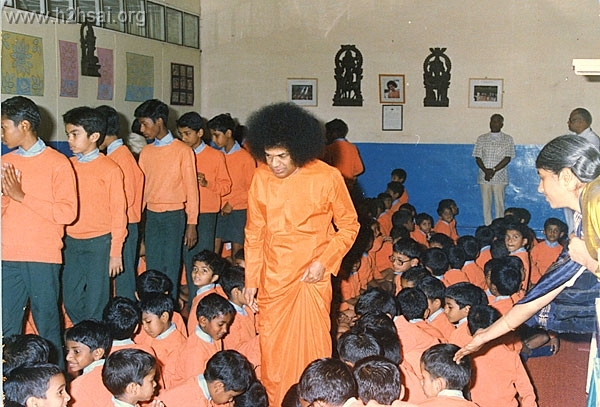 During His every visit, Swami would earmark “special time” for His children and these sessions would be filled with lovely interactions and jokes apart from bhajan and of course bhojan (food). 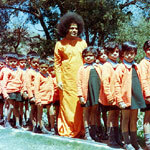 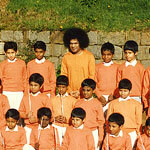 And at times, Swami would pose with every class and on even better days go for a picnic with this small privileged lot! 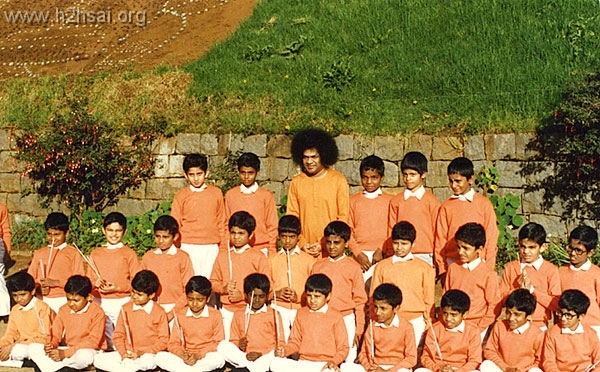 By Divine design, though the Ooty school was closed in early 1990s, the soulful memories of those halcyon days are ever fresh in the minds of those fortunate few. 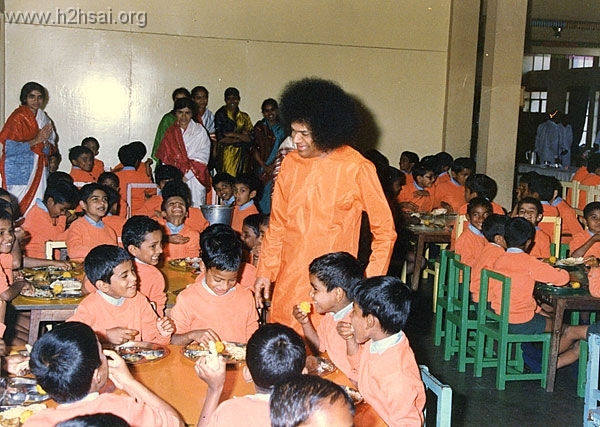 And now here is a chance for us to get a taste of how sweet those moments were!